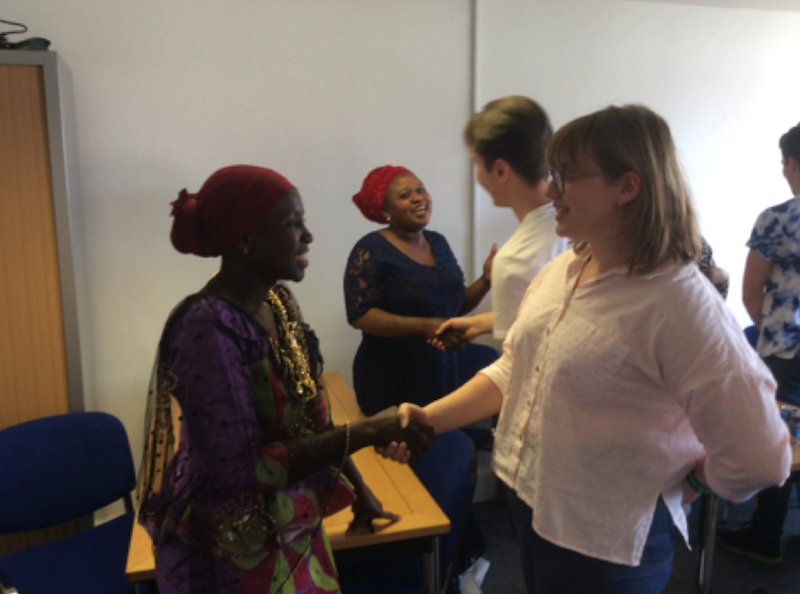 Young people from Wiltshire spend a day with the Gambian Community in Bristol. On 23 June young members of the Marlborough based charity Thriving Through Venture (TTV) spent the day with the Kombo Sillah Association (KSA), the Gambian charity based in Bristol, to learn about The Gambia and in particular Marlborough’s link community of Gunjur, in preparation for their visit there for two weeks in August. 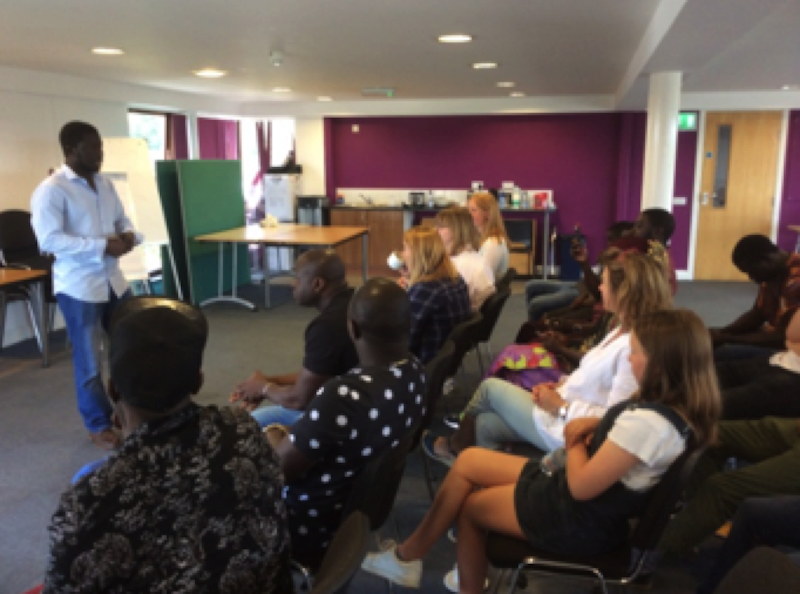 It was an opportunity for people who originally come from Gunjur but are now living in Bristol to talk to the young TTV group from Wiltshire schools about the history of The Gambia, their culture, their Islamic faith and the important role that it plays in their lives. A young woman also courageously brought up the important subject of Female Genital Mutilation (FGM) of which she was a victim when a child and which is widely practised in The Gambia but which members of the KSA are helping to educate people in their home country in an attempt to eradicate this awful but deeply embedded tradition. The group were also provided with a Gambian lunch of Benechin a delicious rice dish with meat and a peanut butter sauce. For the TTV group they learnt a lot, not least the traditional greeting “Salaam Aleikum!” which they will be expected to use once they reach Gunjur. But, coming, as they do, from largely mono-cultural schools in Wiltshire it was perhaps as important for them to spend a day with a group of people of African descent living only 40 miles from Marlborough to begin to understand the wealth of cultural diversity that exists in UK society.